Are you switching from PC to Mac, but don’t want to lose all the media you have on iTunes? Do you want a simple and easy way to transfer your playlists with no hassle? Lets explore some methods below that will help you move your iTunes library from PC to Mac seemlessly. If you don’t have an external hard drive to act as a medium between your two computers, there is a simple way to transfer using iMyFone TunesMate iOS Transfer. TunesMate is device management software that lets you transfer files very easily. 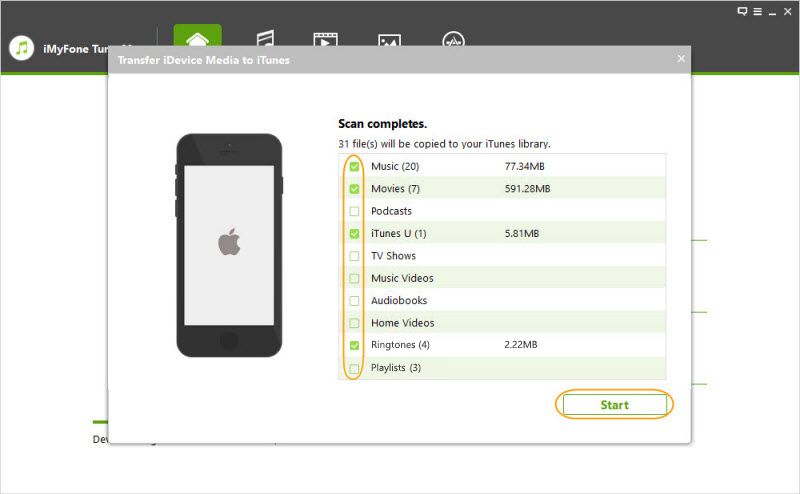 Transfer almost any kind of media file: music, videos, playlist, photos, audiobooks, podcasts, TV shows, etc. You can add files to your iTunes library without even having to launch iTunes. Transfer even between devices that have different Apple IDs. Step 1: Download and install TunesMate to both your PC and your Mac. Step 2: Plug your iOS device into your PC and launch TunesMate. Click where it says Transfer iTunes Media to iDevice. 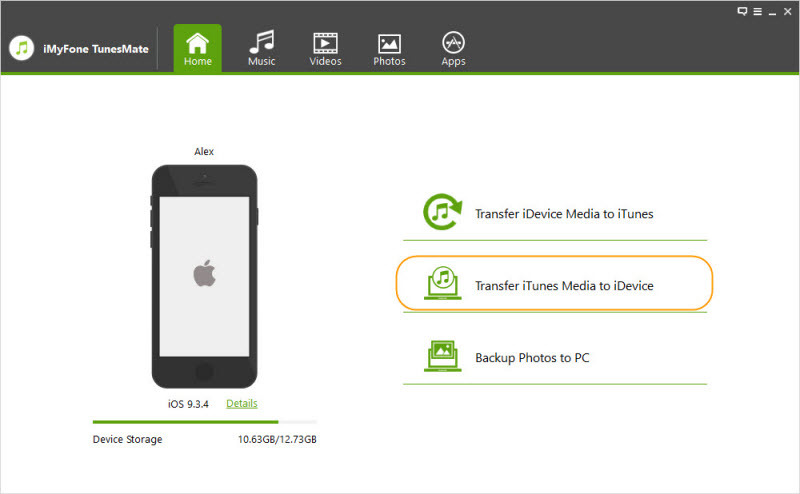 Step 3: Choose what kind of media you want to transfer and click Transfer. This will transfer the media from the iTunes library on your PC to your iOS device. Step 4: After it is done, unplug your device from your PC and plug it into your Mac. Launch TunesMate on your Mac. Step 5: Click where it says Transfer iDevice Media to iTunes on the main screen. Click Start when the pop up comes up, asking if you want to copy your device data to your iTunes library. Step 6: Again, choose what type of media that you want to transfer, then click Start. Step 1: Go to \Users\username\My Music\iTunes on your PC. This is your iTunes folder. Step 2: Plug in your external hard drive and open it up with your file browser on your PC. Drag your iTunes folder to the external hard drive. Step 3: After it is done transferring the files, unplug your external hard drive from your PC and plug it into your Mac. Step 4: In Finder on your Mac, go to Go > Home. After that, navigate to your Music folder. 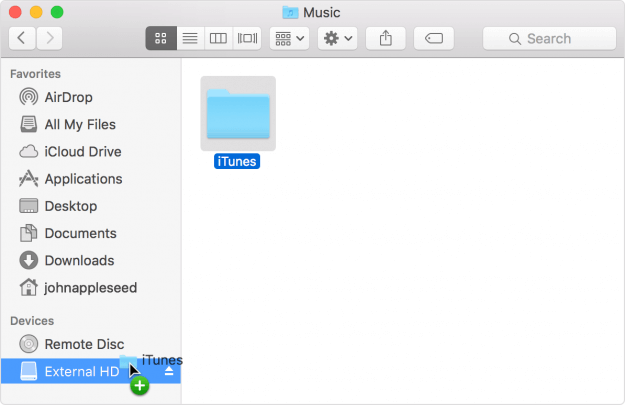 Copy the iTunes folder in the external hard drive and paste it into your Music folder. Step 5: Launch iTunes on your Mac after the media is done transferring. Both computers have to be signed in with the same Apple ID. Both have to be awake and have iTunes open. They both need to be connected to the same network. Step 1: Go on your PC and launch iTunes, then sign into your account. Step 2: In iTunes, go to File > Home Sharing > Turn on Home Sharing. Step 3: Go to your Mac and launch iTunes and repeat the same steps above as necessary. You should now have Home Sharing. Just wait a little bit and the files should be shared automatically between your computers.